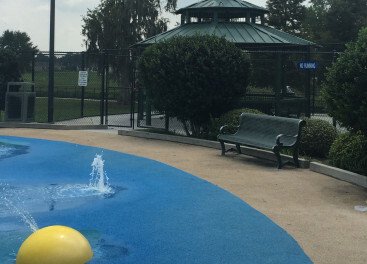 The City of Gonzales is proud to offer three distinct facilities for city residents to rent for a number of events. Bookings go quickly, so you are urged to call Lisa Babin (225.647.9549) or email her at lisa@gonzalesla.com, for rental information after viewing available dates on the below calendars. *To reserve any City of Gonzales facility, you must be a resident of Ascension Parish, east of the Mississippi River. *Please note that Civic Center bookings are accepted up to, and no more than, eighteen (18) months in advance. The regular lease rate for the Civic Center is $1200. 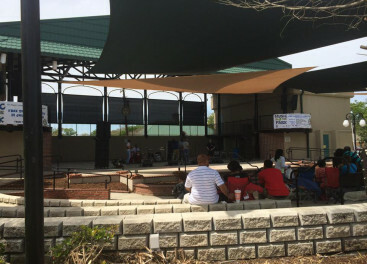 Non-profits, schools and churches can rent the space for $800. A $600 security deposit is required at time of booking. Included in the booking fee are chairs and tables. Microphones may be requested. Please note that all items must be set up and returned to the designated storage location by lessee. For a copy of the lease and all lease terms (including allowed and prohibited events), please click here. 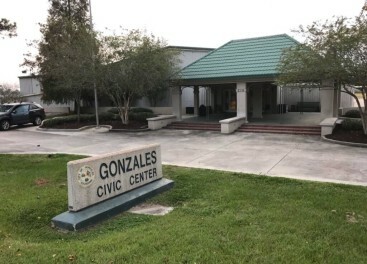 When documents have been completely filled out, they may be dropped off to Lisa Babin at City Hall, or emailed to her at lisa@gonzalesla.com, along with any other documentation that is required. The following is required for all events: Completed lease agreement, Proof of Residency, Gonzales Police Security Agreement, Liability Insurance naming City of Gonzales as an additional insured. Please note that the Gonzales Police Security Agreement (request for police detail) and Liability Insurance MUST be provided 30 days prior to the event. For a copy of security form for Gonzales Police Department, click here. For Corporations/Non-Profits – Corporate Resolution and Notice of Good Standing from Secretary of State’s Office. Link to Secretary of State’s Office, click here. Sample Corporate Resolution, click here. If Alcohol is served, an alcohol permit is required 30 days prior to event. For an alcohol permit, non-profits click here. Private parties needing an alcohol permit, click here.